St. Patrick’s Day is almost here! One of the best parts about celebrating St. Patrick’s Day (aside from drinking) is the food. 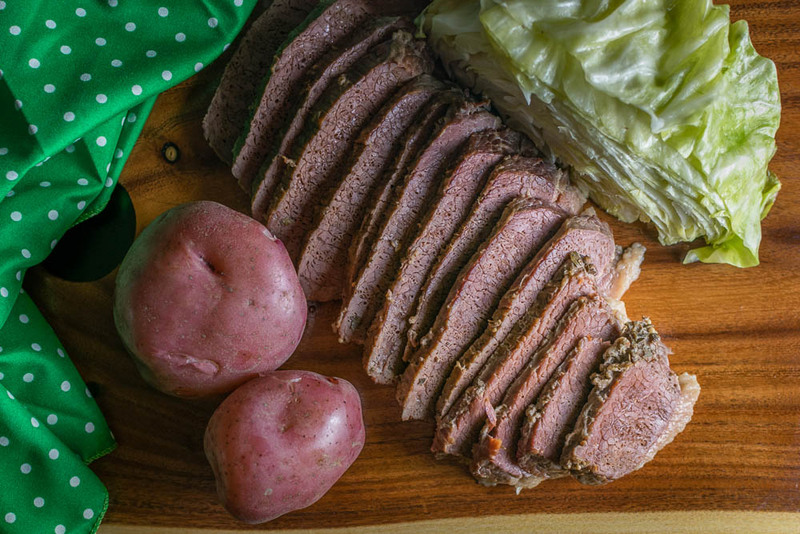 One of the most recognizable St. Patrick’s Day foods is corned beef. In addition to sharing a bit about the history of corned beef, we want to help you make the best corned beef possible. There are a few ways to do this. Pre-Brined– The most common type of corned beef is the pre-brined variety. This means that the brisket comes pre-brined with all of the necessary seasoning. Un-Brined– This is a standard brisket that you will have to brine yourself. 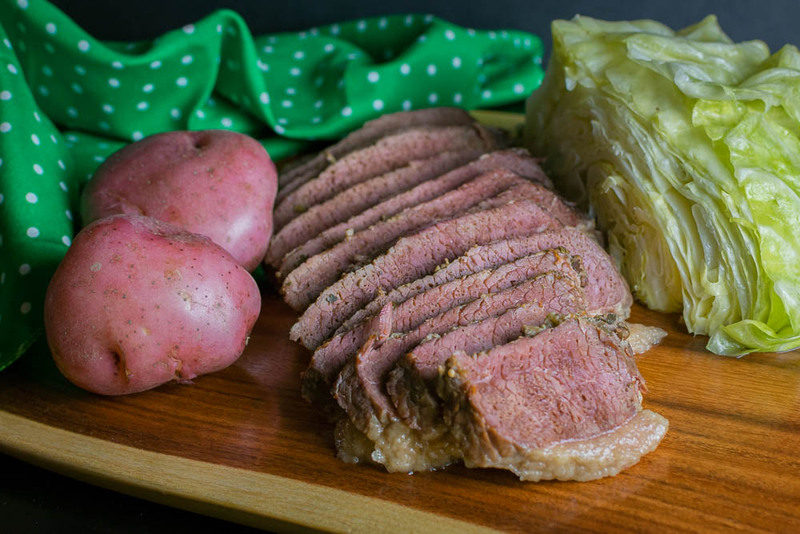 When looking at different types of corned beef, we learned that in addition to the traditional brisket, you can actually get one that is uncured, nitrate free, and nitrite free. Whole Foods graciously provided us a Wellshire Farms First Cut Brisket Uncured Corned Beef. The flavor was a bit different but delicious. The biggest difference, however, was that it wasn’t the pinkish red color you’re used to. Don’t worry, you didn’t overcook it! The color is actually different because of the lack of nitrites. There are a few different ways to cook corned beef. We’ve listed the 3 main ways below. Boiled- This is the most traditional way. The recipe below is the way we prepare it. Grilled– Looking to beat tradition? Try the grill! Smoking– For those who love smoked meat, we turned to the Master of Smoke, Steven Raichlen for the perfect smoked corned beef recipe. What do you serve for St. Patrick’s Day? 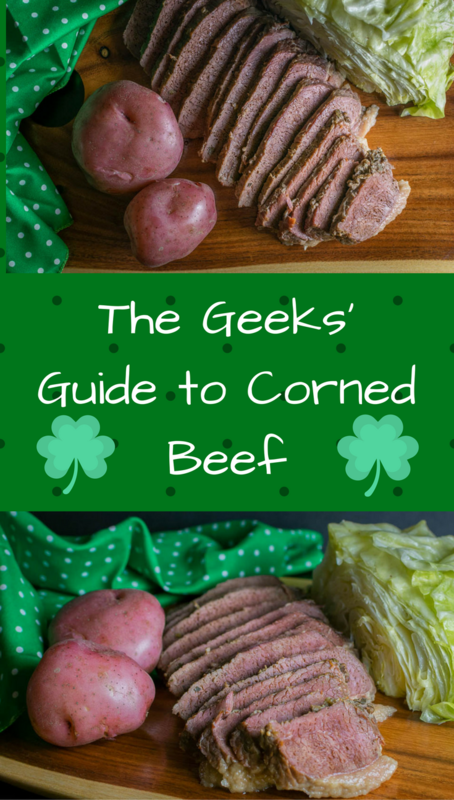 If corned beef is on the menu, how do you prepare it? We’d love to hear all about it! Leave your comments below or tag your photos with the hashtag #GeekEats. In a large pot, cover corned beef with water. Add allspice, pickling spice, and garlic. Cover and lower heat to a simmer. Add potatoes and cook for 15 minutes. Add cabbage and continue to cook for 30 more minutes or until cabbage is soft. If you corned beef already has seasonings skip those ingredient and just follow cook times. *The Geeks were given product samples by Whole Foods Market to facilitate the creation of this post; However, opinions are wholly our own. View our Disclosure Policy for more info.